Did you know in Indiana alone, 1 million people – including 1 in 5 children – don’t know where they’ll get their next meal? Yes, food insecurity is a very real problem facing many families in our communities. The Million Meal Movement is tackling this issue head on, not only by packing meals, but by providing hope and inspiring volunteerism. 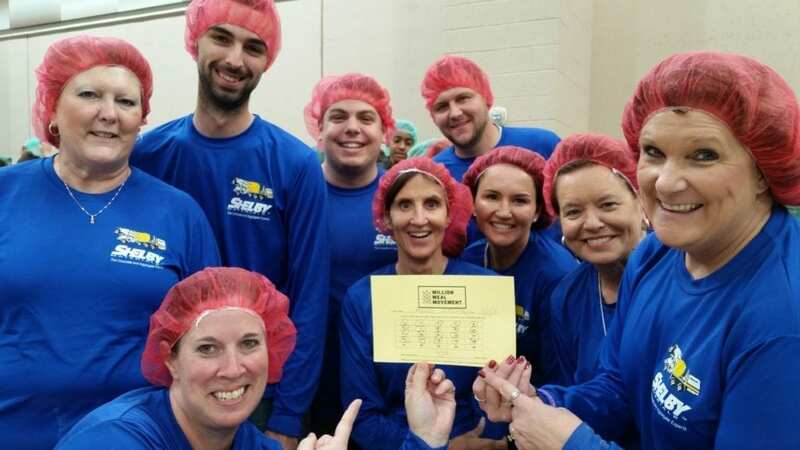 The Shelby Materials team strongly believes that service to others makes the world a better place, and we love when we have the opportunity to volunteer together and make a difference. 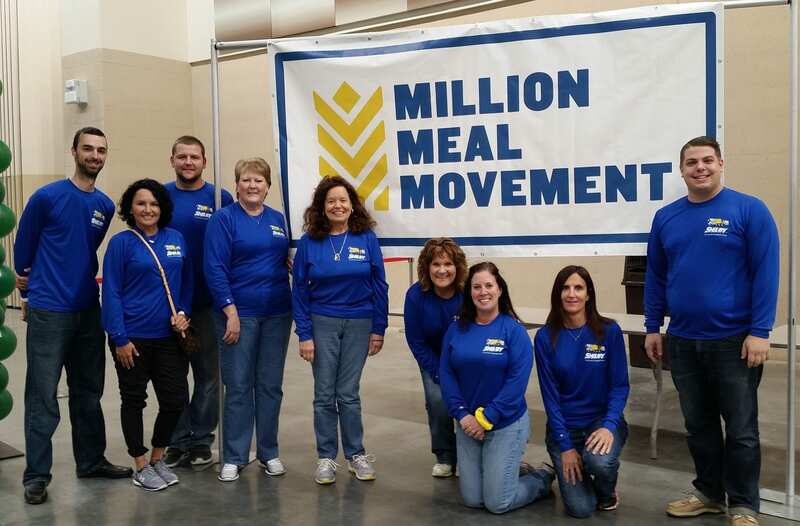 This week we joined the Million Meal Movement, fought hunger and helped pack meals for those in need within Central Indiana. It was an unforgetable experience for our crew. 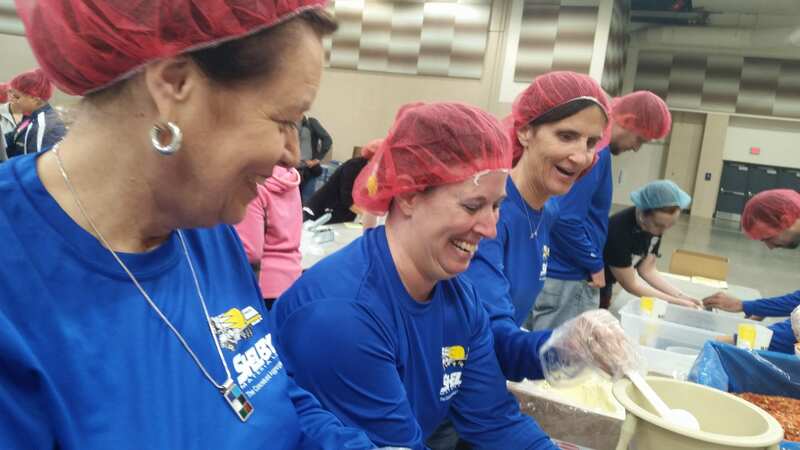 We used our skills and team work to pack 720 bags (equal to 4,320 meals) for hungry families in Indiana. We worked together, we danced a little, we laughed and we rocked our packing line. And our full stats from our 2 hour volunteer time slot via our stat guru, Ben. Learn more about the Million Meal Movement here. Looking for a fun way to volunteer as a group or family this holiday season? 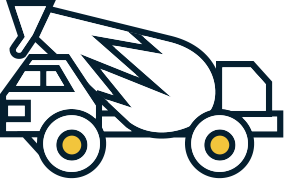 We’ve got the 411 from Indy’s Child. See their full list here.